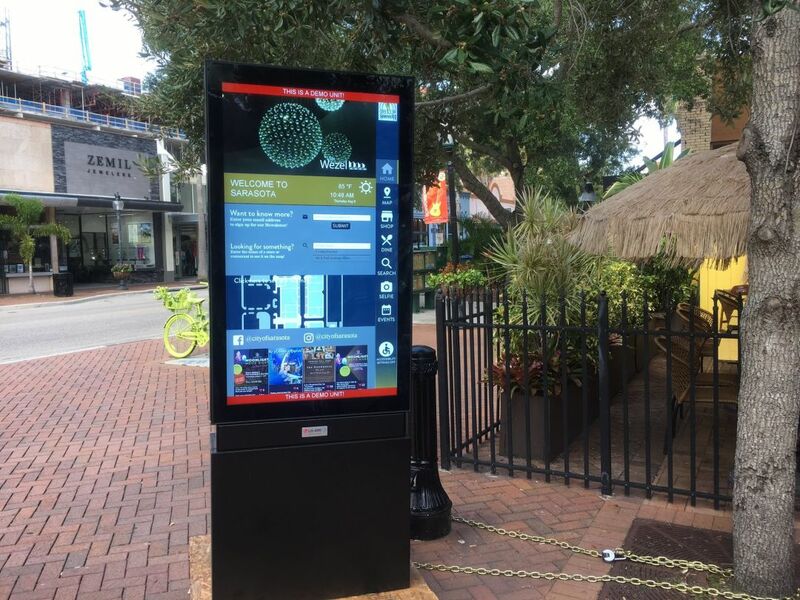 The City of Sarasota recently installed a digital kiosk in downtown Sarasota that allows users to browse local amenities and helps them find their way around. The two-sided display is located at the northwest corner of N. Lemon Avenue and Main Street, Sarasota. It lets users watch videos, pull up interactive maps of restaurants and businesses, take a selfie, access the City’s website and more. The City is currently testing the usefulness of the kiosk and is collecting feedback from the public through Wednesday, Aug. 15.